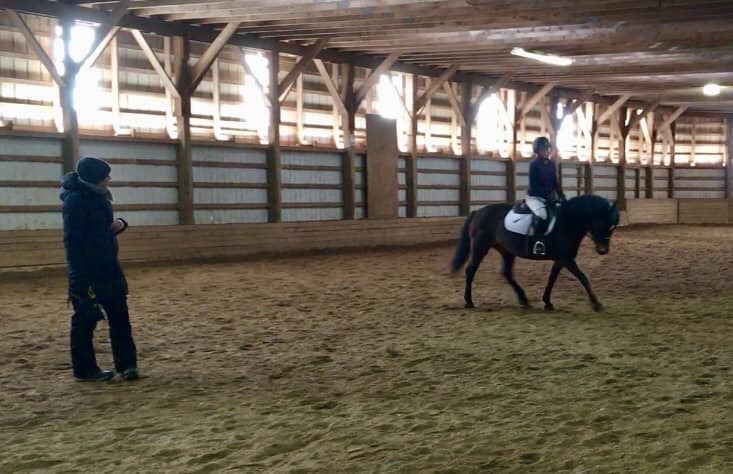 We were so fortunate to have Erin MacQuarrie back at Lancers again to give another Dressage Clinic. This year, it was so popular that we had to run it over two weekends! 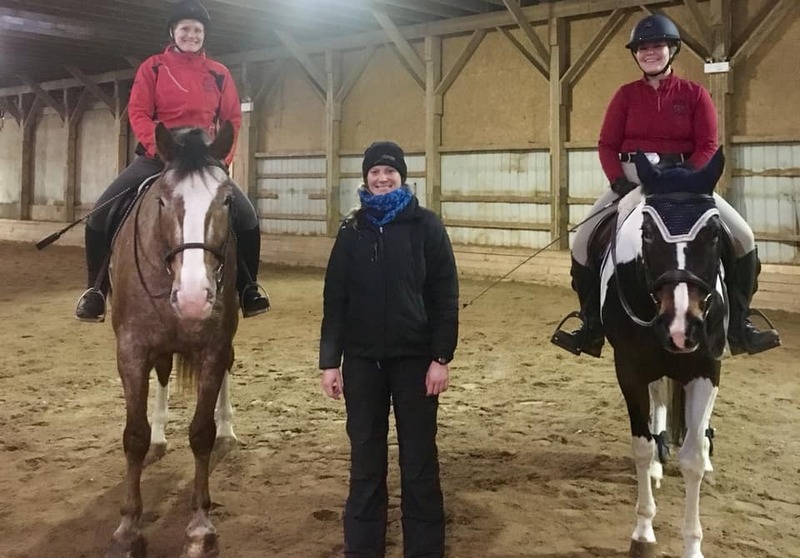 Erin not only has the ability to teach us all to get our horses going REALLY well, but she has the super-human ability to teach for 11 hours in a row in the bitter cold and remain cheerful and enthusiastic throughout! We are so grateful to her for coming and sharing her expertise with us every January for some serious winter motivation. Many riders had some breakthrough moments and Erin seemed to take genuine delight in sharing these moments with them. Thank you, Thank you, thank you! Erin is an Equine Canada certified Competition Coach Specialist. Erin actively maintaining a client base of approximately 100 people throughout New Brunswick and Nova Scotia and has successfully taken one of her students from training level though to the FEI Juniors, ultimately guiding her to qualify for Team Canada and attending the NAJYR championships for three consecutive years. Erin has trained and campaigned numerous horses from training level though Grand Prix in New York and throughout Eastern Canada. Throughout her career Erin has won many awards and championships including earning two Equine Canada Rider EIGHT Awards along with Silver and Gold Lapel Pins. Jake and Lancers spread some holiday cheer at St. Vincent's Nursing Home!